Former Sudan president Omar al-Bashir. Sudan President Omar al-Bashir, facing near-daily demonstrations against his government, took a conciliatory tone with protesters on Wednesday, saying they are mostly young with poor prospects and pledging to release detained journalists. Bashir’s remarks appeared to be part of a new strategy to soften government’s stance toward protests after the Defence Minister and Prime Minister made similar remarks in recent days. 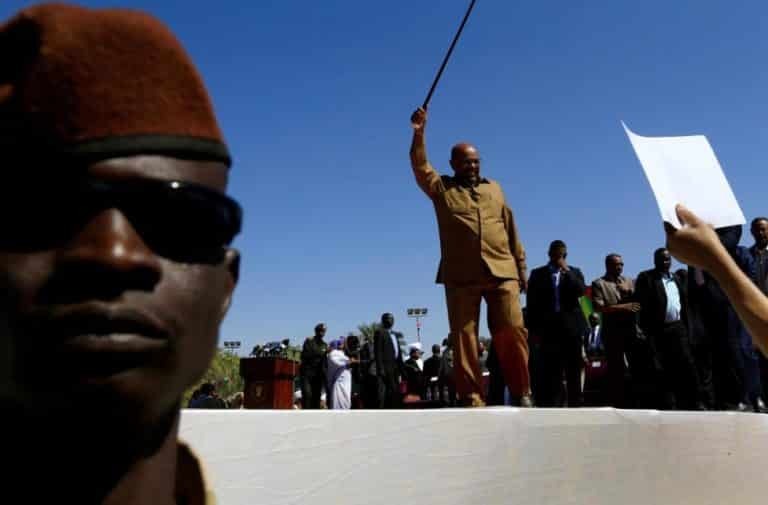 Bashir warned against destabilising the Sudanese state, however, saying “you can look at what happened in Libya,” in a state of turmoil since a 2011 civil war led. The protests, which started on December 19, were triggered by price increases, limits on cash withdrawals and other economic hardships but shifted focus on Bashir’s 30-year rule. Police officers used teargas and occasionally live bullets to disperse demonstrations. Human rights activists say at least 45 have been killed. The government puts the death toll at 30, including two security personnel. Political activists, civil society members and journalists have been detained. Bashir said all journalists jailed in connection with protests would be released. Activists estimate the number of journalists in prison at 16. He also said young people’s anger was fuelled by “wrong implementation” of Sudan’s public order laws. Morality laws have been criticised by human rights organisations for restricting the freedom of women by, for example, making it a crime for a woman to wear trousers. Defence Minister Awad Mohamed Ahmed Ibn Auf said young people caught up in the protests had “reasonable ambition”. On Saturday, Prime Minister Moataz Moussa described calls for better living conditions as “legitimate”. Bashir is wanted by the International Criminal Court on charges of masterminding genocide in the Darfur region, which he denies. He has been lobbying to be removed from a list of countries that Washington considers state sponsors of terrorism. The listing has blocked the investment and financial aid Sudan was hoping for when the United States lifted sanctions in 2017, economists say. Sudan has been expanding its money supply in an attempt to finance its budget deficit, causing spiralling inflation and a steep decline in the value of its currency.